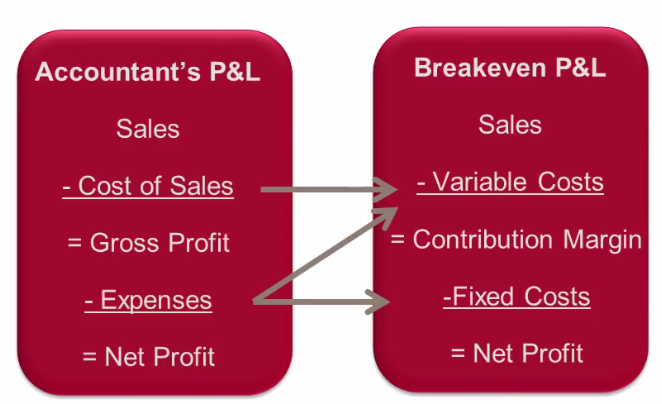 Understanding breakeven is all about the relationship between 3 factors – Price, Volume, Costs. Whatever is left over is your profit, so how do we maximise the profit, understand and determine other key business drivers? 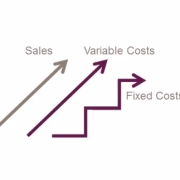 The relationship is, if cost increases (which it often does), how much more (volume) do you need to sell or how much higher (price) needs to go for you to breakeven. Or let’s say if you decide to have a sale and put prices down, how much more (volume) do you need to sell or how much lower does cost need to go before you breakeven. 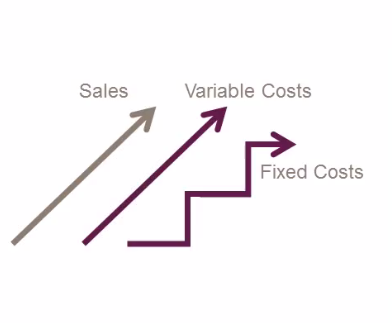 The relationship between fixed and variable cost on sales is easily illustrated below. 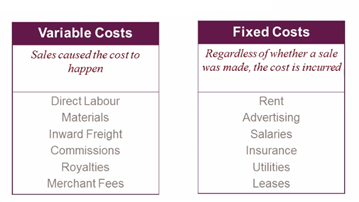 Therefore we have determined (COGS) are variable cost and expenses can be either variable or fixed as shown below. So classifying cost and understanding how they behave is the basis for breakeven calculation and analysis, in part 2 we will walk through a case study and calculate breakeven point. For further information, contact us for a free no obligation discussion about your business cost clarification and how to analyse your business to make meaningful and sustained change. Also remember to subscribe to our free mini-MBA training program at [http://…], specifically designed for the busy business owners.